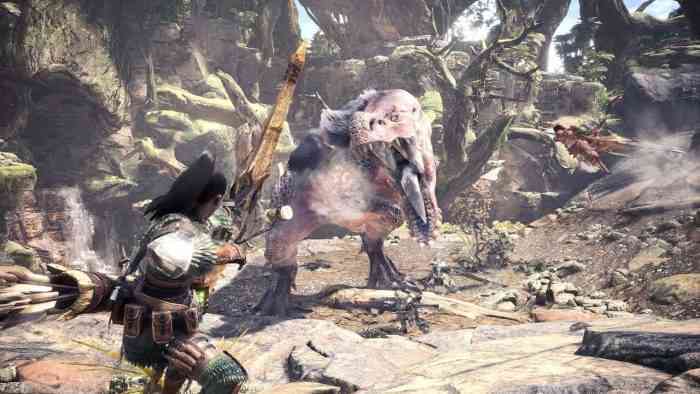 Capcom has announced that Monster Hunter World has now shipped 7.5 million copies worldwide since its console launch in January, making it the best-selling game in company history. The staggering number includes digital download sales too. The milestone is even more impressive considering the game has yet to launch on PC, which will be released at a later date. Capcom’s previous record-holder was Resident Evil 5, which had shipped 7.3 million units as of December 2017. While units shipped doesn’t necessarily equate to units sold, it’s still a solid indicator of the game’s popularity. Capcom is clearly happy with the game’s success, which has been breaking records within its first two months. In February, the game became Capcom’s fastest-selling game ever. Capcom also announced that cumulative sales for the Monster Hunter series have now grown over 48 million as of March 5th, 2018. The original game made its debut over 14 years ago in 2004. Monster Hunter World’s monstrous success is notable due to it being the first new Monster Hunter for home consoles in nine years. Some die-hard fans questioned before its release whether it would be as successful on PS4 and Xbox One as its handheld brethren. Here at COGconnected, we too loved Monster Hunter World. You can check out our video review below. Monster Hunter World is available now, wherever games are sold, on PS4 and Xbox One. What are your thoughts on the game? Why not leave a comment down below.